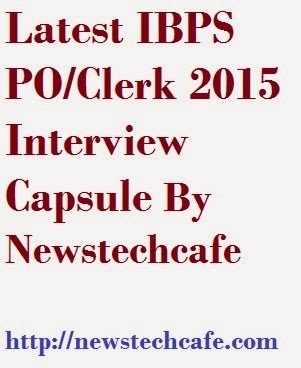 Readers Today we are back with our special gift to all of our IBPS PO and Clerk 2015 interview capsule for aspirants. We know all of you are busy with the preparation of IBPS PO and Clerk 2015. And you aspect that newstechcafe provide you great material which help you with your interviews. 19 th January 2015 and for Your IBPS clerk interviews starting from 9th Feb. 2015. Just Read our INterview booster online and also Download our Interview to Boost your Interview Preparation. You can mail me at gobsin20@gmail.com if any problem persist.